Since 1964, the U.S. Department of Commerce, through its Economic Development Administration (EDA), makes available planning grant opportunities to assist distressed communities to promote job creation, accelerate innovation and entreprenuership, advance regional competitiveness, generate private investments, and foritfy and grow industry clusters. The EDA’s Planning and Technical Assistance Program allows the County of Imperial and its seven cities to develop the Imperial County Comprehensive Economic Development Strategy (CEDS). 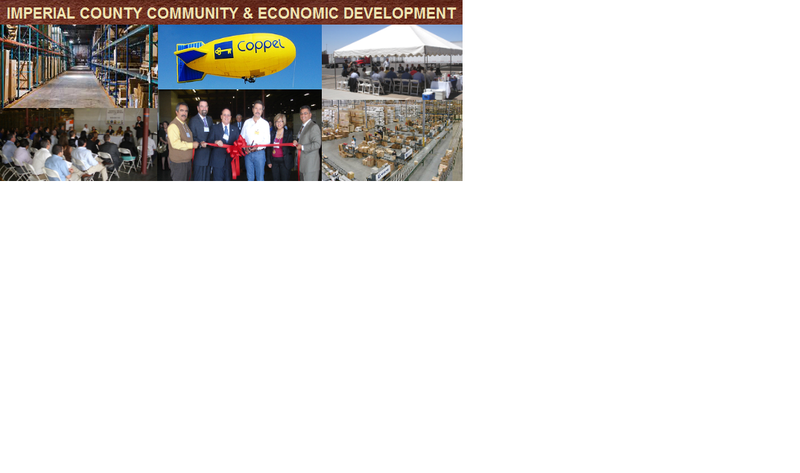 The CEDS is an effort to encourage regional economic development plans that are designed to stimulate and guide the economic development efforts of the community. In order to provide Imperial County with a realistic and viable development program for the orderly expansion of the area’s economy, it is essential for the County to maintain an updated version of the CEDS. Each year, Imperial County Community & Economic Development (ICCED) applies for EDA funding to develop and update its CEDS. This year, the County of Imperial received $70,000 in funding from the EDA for this task. To assist with the development of the CEDS, the County of Imperial established the Imperial County Overall Economic Development Commission (OEDC). The OEDC is comprised of a combination of public and private sector representatives. The primary objective of the OEDC thorugh its CEDS Committee is the preparation, coordination, and implementation of the CEDS. 4) To select the most feasible project opportunities and implement the required actions. More specifically, part of OEDC’s responsibility is the creation of a CEDS committee that prepares, receives, reviews, and prioritizes all potential Economic Development projects in the County. The CEDS committee must ascertain their appropriateness and validity for ultimate inclusion in the CEDS, based on the published guidelines from the U.S. Department of Commerce, Economic Development Administration.